Say Good-bye to the couch lock stoner. The turning of the new year unlocked the door to more than just recreational cannabis, it also gave birth to new and open-minded ideas surrounding wellness and our general relationship to the plant. We recently partnered with Nicole Klemas of NPK Yoga for privately held “bring your own cannabis” yoga classes. She’s paving the way to a new form of wellness in Marin County. Part of our moral fabric at Nice Guys is to help shine a brighter light on the otherwise dark perceptions surrounding Cannabis stigma. “The combination of cannabis and yoga is ancient. Indian mythology includes a story about the god Shiva consuming the leaves of the cannabis plant to refresh his mind and body. There is evidence of the use of cannabis in India as far back as 1000 BC, and the plant is still celebrated in medicinal, ceremonial, and spiritual use there today. Beyond that long history within yogic tradition, my personal reasons are practical. I came to yoga seeking a way to manage both mental and physical pain: I have struggled with anxiety and depression since my teenage years, and I’m also living with chronic arthritis in my hip that I developed after years of competing in marathons and duathlons in my 20s. Yoga gives me the tools to help address these conditions. So does cannabis. I’m actually pretty sensitive to cannabis, and I generally don’t react well when I consume large amounts. When my husband and I moved to California 2 years ago I was excited to explore my medical cannabis options because there was such a wide range of products with clear labeling and specific dosages (nothing like the random baggies I used to score back in NJ! ), and there was great education available. I already knew I preferred plant medicine to pharmacological options, and I was stoked when I learned about CBD and micro-dosing — I found that both helped support my mental and physical wellness while allowing me to control how much psycho-activity (head high) I experienced. We believe life is a gift and should be lived well. We use Cannabis to help grow deeper within and without. Using Cannabis to take a hike, ride a bike, or practice yoga should be an adult choice. We enjoy cannabis to be creative and to help us escape the stronghold of our mind to perceive life a little differently for awhile. Helping us grow in open mindedness and through a self-reflective experience. Cannabis helps in more ways than one. We are athletes, business owners, parents, girls and guys, and active community members. It’s part of our mission to help de-stigmatize the negative and potentially damaging stigmas plaguing the environment. When we learned about Nicole’s practice merging a few of our favorite activities we were excited to see what it was all about. Operating in the industry is a challenge and a lot of people are still against the plant in general. We thought there’d be backlash due to years of conditioning from propaganda and fear driven campaigns that aren’t going to go away over night. “I’m passionate about offering cannabis+mindfulness yoga gatherings because I want to give people a space to learn about the healing properties of both cannabis and yoga, and because it always brings together people with great energy! These classes allow for informal, low-pressure education and conversation about cannabis use before we all enjoy a super-chill, deeply grounding yoga practice. While everyone is welcome to enjoy their own cannabis products during the social time before the start of class, students do not need to consume to take part. They can simply come to enjoy the yoga and get their cannabis questions answered in a setting that’s warm and welcoming. People can feel uncomfortable about visiting dispensaries; because we do not sell cannabis at the classes they won’t feel pressured to make a purchase, but they will leave with information about how to legally access cannabis from local businesses and what sort of products might be right for them. Because my professional background is in medical education, I’m very passionate about empowering people to learn how to support their own optimal health. As a larger mission, I feel it’s important to lend my voice to the destigmatization efforts. Stereotypes about cannabis users are damaging in so many ways, especially because they can prevent people from exploring what might be powerful medicine for them. There have been two classes so far and like she said they’ve sold out. I’ve personally been to them both and really enjoyed the experience. I’ve found Cannabis to be useful in my own meditative practices, so when I learned I could combine yoga and weed for a deeper, more grounding experience I was thrilled. 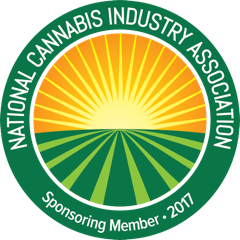 Our job in the partnership is to be present to help provide any information people might have regarding the industry and how they can benefit from Cannabis at large. We offer insight into products and help people understand where the industry is headed from our perspective. We are active in the community and want people to see the brighter side of the Cannabis culture. There’s more to it than simply slapping a label on something foreign and unknown — explore, try something new and be adventurous. Maybe Cannabis inspired yoga could be for you. One underlying reason I’ve enjoyed the practice is because of the social benefits it creates from coming together with total strangers. Both classes brought new faces in and when you’re smoking weed together you tend to bond to some degree or another. I think there’s tremendous value in putting yourself in places to meet new people. Many bring their own Cannabis but also tend to share. We consume a half hour before class and then are guided on an hour or so long journey through our mind and body via our breath and intention. The yoga class is relaxed and at your own pace. I didn’t have a yoga mat the first class so I used my towel and found no real challenges in doing so. I do recommend bringing a mat though — it makes for a more comfortable and meditative experience. I had a mat for the second class which made it much nicer. The location is in a cozy boutique in San Rafael where they allow us to smoke and enjoy cannabis at our own leisure prior to class. I mostly liked how a group of random strangers were able to come together and enjoy an incredibly relaxing experience. I think that alone creates incredible value that shouldn’t be ignored. I look forward to attending more classes and seeing how the practice progresses over time. If you’d like more information on NPK Yoga click here. The service project is located at Stinson Beach, CA Sunday March 18, 2018 from 5–7pm. After the clean-up work is done, stretch out with yoga on the beach lead by Nicole Klemas of NPK Yoga. You don’t need any yoga experience to join us, just a beach towel, blanket, or yoga mat.